the loan amount, terms of repayment or repayment schedule and additional charges such as interest or late payment fees. The best outcome of a loan agreement is the timely payments according to the schedule without the lender having to foreclose, hand over for collection or sell property held as security to effect payment. The lender and borrower must discuss and negotiate the terms of repayment which should be affordable to the borrower and satisfy the requirements of the lender to have the money repaid within a certain time. Take a look at how repayment can be structured (further down on this page), the advantages and disadvantages and cost implications. This can assist you in deciding which legal form would be best suitable for your needs. Security Agreement where collateral is offered, Note guaranty, Release upon final payment, Receipt template etc. Note: For links to the above and additional legal guidelines, please refer to our main page on Promissory Notes. Loans between friends or family members may typically be settled with a single repayment at a future specified date. The amount due will include any interest charged. If no interest is charged, simply insert ZERO in the space provided. Note though, that a demand promissory note may not specify the date due. The Note may allow for a few days notice to be given or may state that it is immediately payable upon demand. We've added the words "but demand shall not be made before the __day of _______________20__" to our sample demand promissory note which can offer some peace of mind to the borrower. Where employers extend loans to employees and need to draw up a personal loan agreement, the employer needs to familiarize himself with local labor laws, which may limit the amount an employer can deduct from wages - even to repay a loan - to 25% of the worker's salary or whatever is applicable in your state or country. The entire loan amount will be paid off with equal monthly/yearly payments. If interest is charged, a portion of the payment will go towards interest and the balance towards the principal loan amount. At the end of the payment period, both the interest and the loan amount will be paid in full, known as a fully amortized loan. A portion of the loan amount and any interest charged is paid with a specified number of installments. 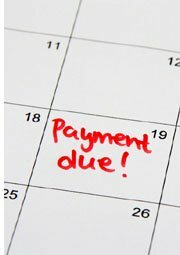 The unpaid balance or residual amount is then settled with a final balloon payment. This allows for lower monthly repayments initially and it my be possible to re-finance the residual amount with a new personal loan agreement. The monthly/yearly payments are calculated on the interest or finance charges only. At the end of the loan term, the full principal amount becomes due with the final balloon payment. Although the monthly payments will be much lower, the total amount paid will be substantially more than an amortized loan. It is always advisable to get your personal loan agreement in writing to avoid possible disputes. Please note: Our sample legal documents are provided for informational purposes only and should be reviewed by an attorney in your jurisdiction.